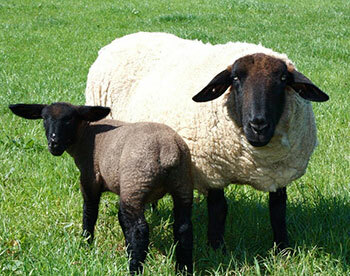 The Suffolk is one of our oldest, native British breeds and has been in existence since the late 1700’s. The breed produces good quality meat and excellent chops! Our small flock normally has lambs in early April and they can be seen bouncing around the meadows throughout the spring and summer. We will also keep updates on the website and Facebook as to the expected lambing dates for those keen to come and experience “Lambing Live” for real! 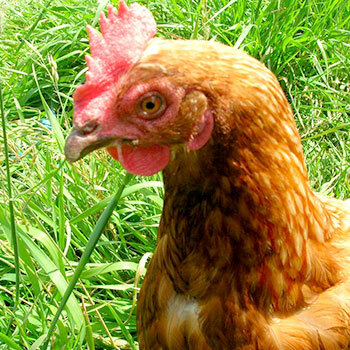 We have a few free range hens here on the farm producing fresh free range eggs. This helps us ensure you get the freshest of eggs for your breakfast! There is also a small honesty shop at the farm gate selling fresh eggs from our and our neighbouring farmer’s hens.